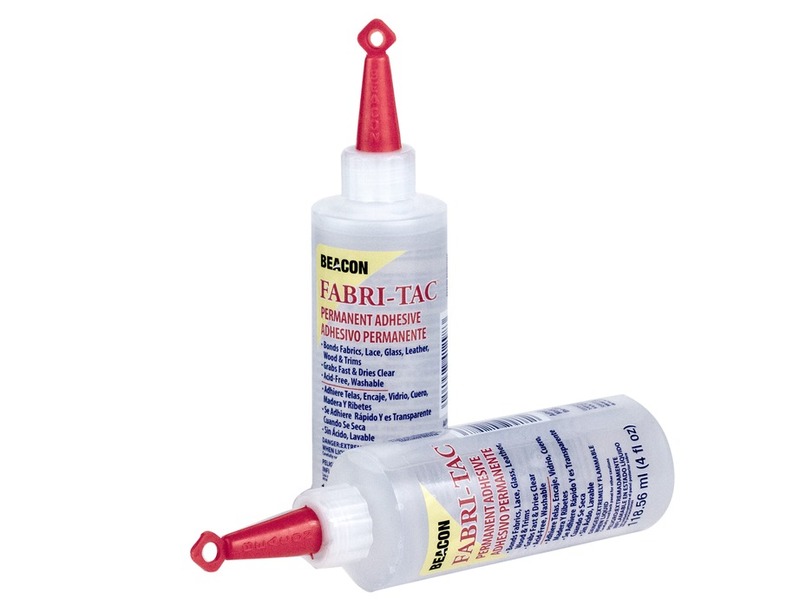 Beacon adhesives Fabri-Tac permanet fabric glue bond leather, lace, fabric, and wood. 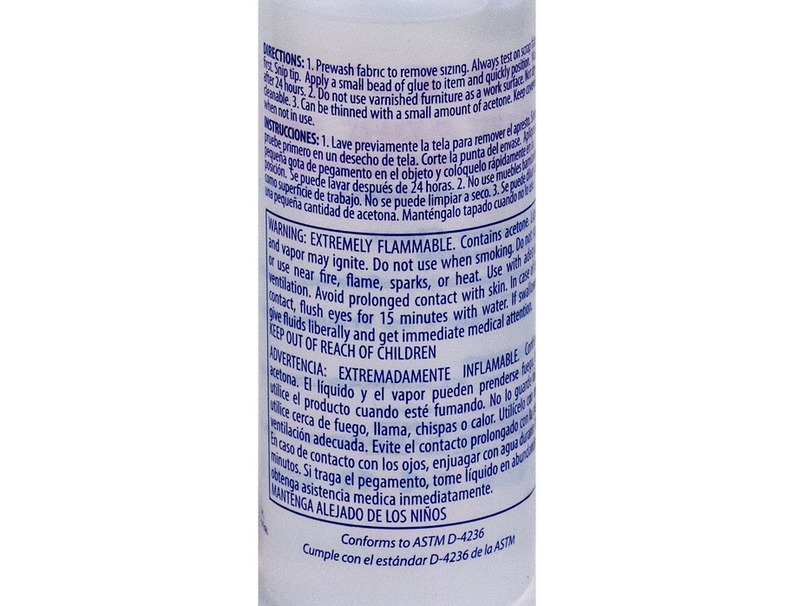 Bonds fast and is washable. Excellent for both fashion and crafting. Fabri Tac 4 oz Fabric Glue has been added to your cart.